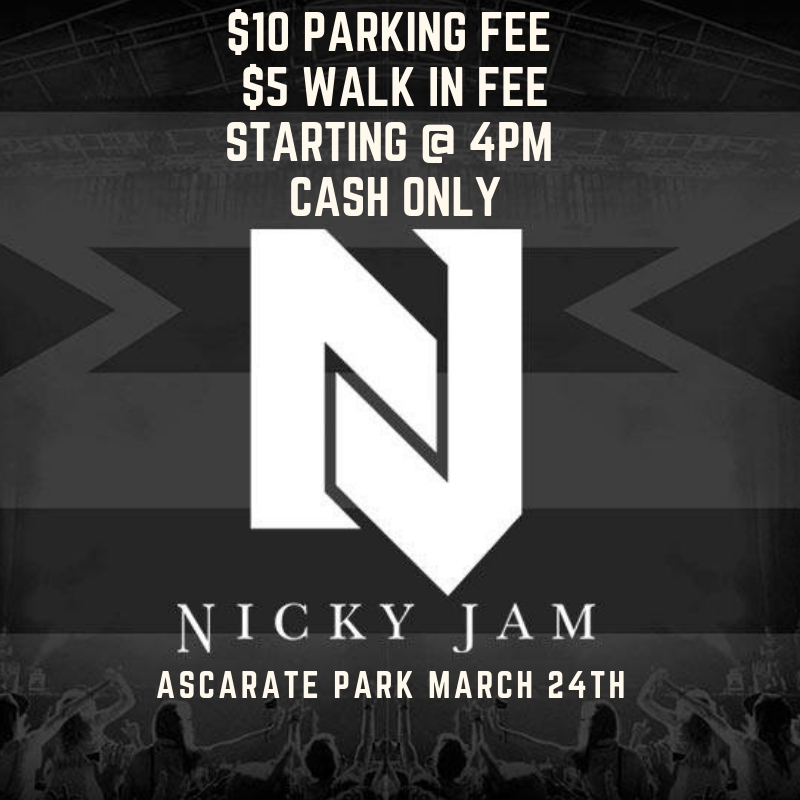 El Paso County Parks & Recreation will be hosting Golden Egg Enterprises production of Nicky Jam concert March 24, 2019. The standard weekend parking fee is $2.00, and will increase to $10.00 as well as a $5.00 walk-in fee starting at 4:00 pm this Sunday. These fees apply to all persons entering the park, regardless of intended park use. The parking fee and walk-in fee are valid for 1 day with a date stamped ticket. Loss of the ticket will result in an additional charge to re-enter the park. Parking fees and walk-in fees are all payable by CASH ONLY. Guests are encouraged to have cash on hand to avoid long entry lines.